I am the Managing Director/CEO of Flonnal Limited and Supple Communications Limited, with an MBA in finance, an associate member of Advertising Practitioners Council of Nigeria (APCON) and the Nigeria Institute of Management (NIM). As the President/Co-Founder of Eko International Film Festival, I am committed to promoting the sustainable development and advancement of the motion picture arts and science in Nigeria and the rest of the world. I want Nigerian filmmakers to improve the quality of their movies to world class standards. I have been to international film festivals such the Festival of 3 Continents, the Cannes Film Festival and already invited and accredited by the International Film Festival Rotterdam and I want us to have a similar world class film festival in Lagos , Nigeria . Eko is the traditional Edo Benin name for Lagos and it means war-camp and similar to the word Oko which means farmland. BC: Can you please tell us about the origins of the project: who came with the idea first, how and why? 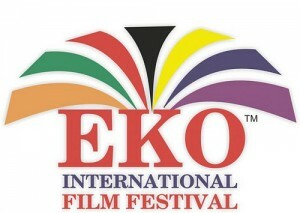 Eko International Film Festival is the idea and concept of my co-founder and Festival Director Ekenyerewngozi Michael Chima who created it in August and posted it on fest21.com the first social network for the film and festival professionals, with a festival directory of 4000 festivals. www. fest 21.com/en/ festival / eko _ international _ film _ festival. BC: What team have you formed around this project and what is their background? The Organizing Committee presently is a team of five members: Hope Obioma Opara – The President/Co-founder, Ekenyerengozi Michael Chima – The Founder/Festival Director, Barr. Biola Ladipo – The Legal Adviser, Wale Adenuga, Chike Ibekwe and Annabell Mbock, an actress from Nigeria. BC: Tell our friends filmmakers what the festival mission is, which film are you looking for, what can they expect from their participation? Eko International Film Festival is an annual film festival to be held in the mega city of Lagos state in South West Nigeria, from July 7-12. The mission is to promote the appreciation of local and international films in Lagos and use the film festival to attract filmmakers to exotic locations of Nigeria and boost tourism. We are expecting films in four main categories; documentaries, drama, fiction and horror. We may add musicals and animation later. 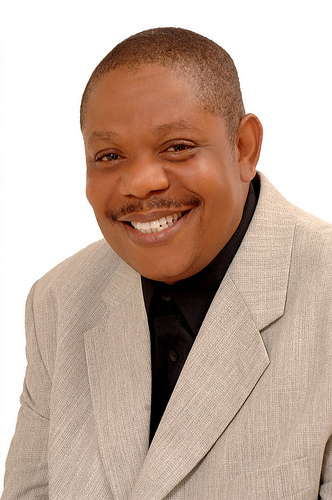 BC: What is the situation of the film industry in Nigeria ? The Nigerian film Industry began as big screen industry with films shot only celluloid and the first Nigerian film Palaver was shot in 1904. But the film industry collapsed in the late 1980s due to the economic recession and the popularity of VHS cassettes prompted Nigerian producers to start making home videos of typical Nigerian drama, horror and comedy from the early 1990s. The home videos in the local dialects of Yoruba, Igbo and Hausa became very popular among the majority of Nigerians who are the poor lower class and middle class families. The popularity made many Igbo business men to venture into mass importation of video cassettes and mass production of home videos which made Nigeria to become the largest movie making industry in Africa and the second largest in the world after India with an annual production of over 800 movies in the video-format and popularly called Nollywood after Bollywood and Hollywood. The popularity of home videos distracted millions of Nigerians from the cinemas from the 1990s to the early 21 st century. But there is a revival of the cinema culture with the establishment of new public viewing centres in all the cities and towns in Nigeria such as the popular Silverbird Cinemas, and ambitious Nigerian filmmakers are now making films for cinemas. BC: Who is supporting the festival, state, city, private companies and sponsors? Eko International Film Festival is being organized by Supple Communications Limited and is seeking the cooperation and support of local and international sponsors. We have attracted the interest of some Nigerian banks and we expect to close deals with the prospective sponsors early next year. BC: Is EKO IFF going to be fun? EKO IFF is going to be great fun for the filmmakers and the lovers of films in Nigeria and the thousands of film aficionados we are expecting. This entry was posted in Featured, Film Festivals, Interviews, News by admin. Bookmark the permalink.